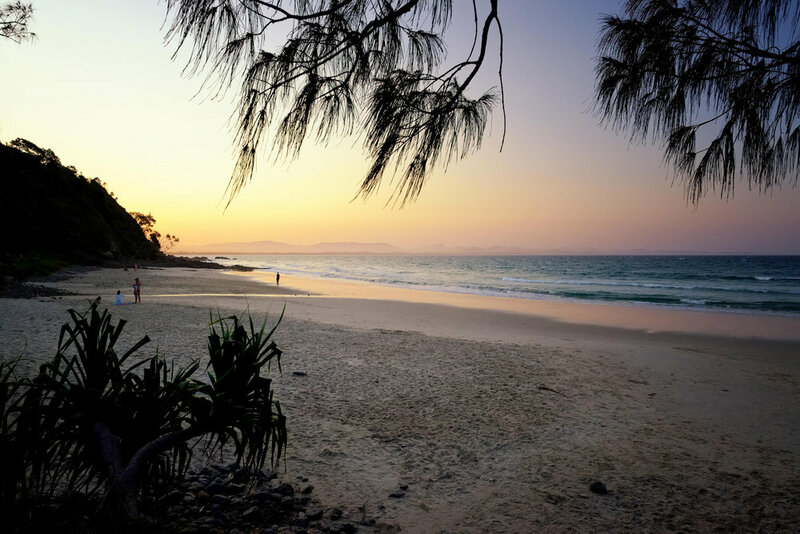 Byron Bay is your quintessential girl’s getaway destination, home to a beautiful stretch of beaches, a laidback atmosphere and a divine array of cafes and boutiques. Whether you’re a seasoned Byron Bay traveller or are yet to make your pilgrimage to Australia’s most famed surfing town, we’d like to make your next Byron getaway the best it can be. Here’s a small list of our fave things to do in this gorgeous area that we hope will make your trip that little bit extra special! There’s no doubt that Byron’s beaches are its biggest attraction but when you’re ready for a day away from the salt and sand, a glorious hinterland region awaits. Just 50 minutes drive from Byron town centre is a beautiful national park home to a lush rainforest, stunning mountain line and a 100m high waterfall. Reserve a few hours for a gorgeous walk that begins at the top of Minyon Falls before trailing through bushland and rainforest to the waterfall’s awe-inspiring base. You don’t need to be an experienced hiker for this one, just an outdoor lover with a camera ready to take some jealousy sparking pics! A girl’s trip isn’t a girl’s trip without a gourmet lunch and a Byron getaway is no different! 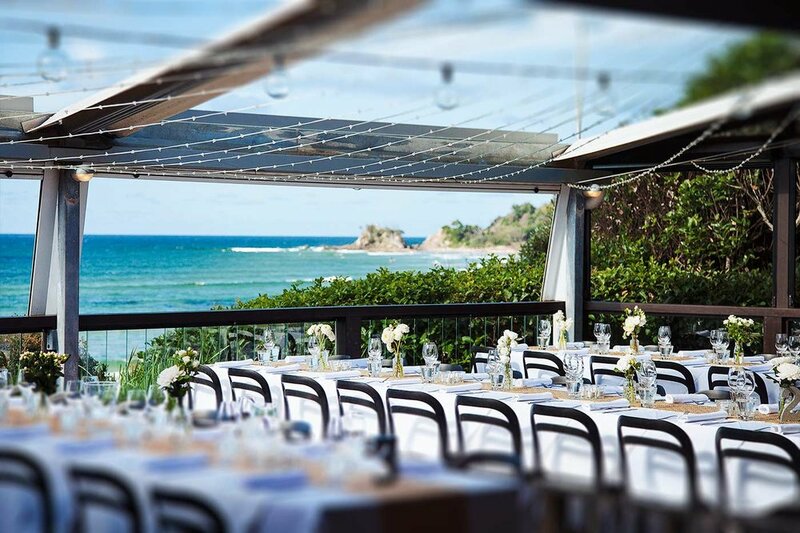 For a beautiful fresh lunch with a view to match, head to The Beach Café, a modern seafood restaurant uniquely situated above Clarkes Beach. Enjoy fresh local oysters, succulent fish and delicately crafted gnocchi as you gaze out on Byron’s turquoise water. A punchy cocktail is the perfect compliment to your picture-perfect lunch with the girls. The only tip we’d give is to pack your swimmers because a few hours with this view is enough to make any girl crave a dip! Now we know you might have heard of this one but any trip to Byron Bay wouldn’t be complete without a visit to the iconic Cape Byron Lighthouse. For the best experience, we recommend heading off at dawn; you’ll avoid the heat and witness the morning sun rise from behind the lighthouse, often an event that results in striking colour displays. If you’re a newbie to the area, make sure to bring your swimmers for a dip along the way – the gorgeous Wategos Beach is often to tempting to resist! 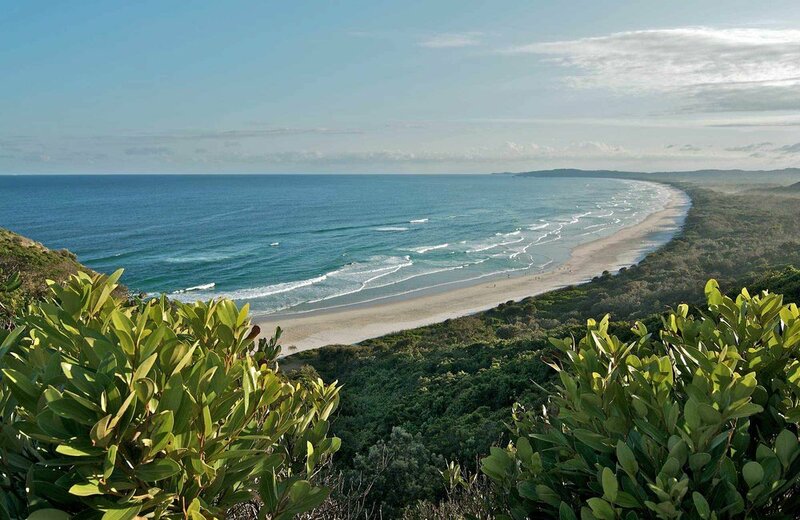 For a different experience, take the walk back through the bushland trail, you’ll find it less crowded and get some unique views over Tallow Beach. Of course, you’ll need bring your camera to get your girl’s pic at the most easterly point of the Australian mainland! We like to consider ourselves brunch experts so please trust us when we see this is an unmissable brunch experience! 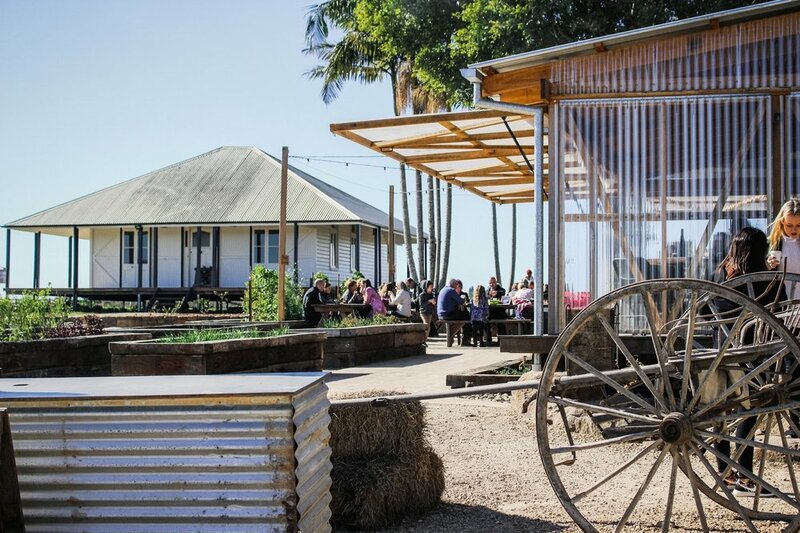 The Farm is a gourmet haven a short 10 minutes drive from Byron town centre home to a delicious restaurant, florist, bakery, produce store, coffee shop and fully functioning organic farm. The most important thing to note about this wonderful place is that a brunch visit doesn’t just include brunch, it features a self-led exploration around the estate’s huge veggie patch, macadamia farm and live stock. Of course, the food here is fabulous too. A typical breakfast sounds something like grilled chorizo, chimichurri white beans, smoked eggplant yogurt and herb salad on sourdough, a meal nicely complemented with the restaurant’s exceptional organic coffee. Whether you’re a country lover or not, you can’t help being charmed by this beautiful estate! If you’re a sucker for seafood, this is one stop you can’t miss! 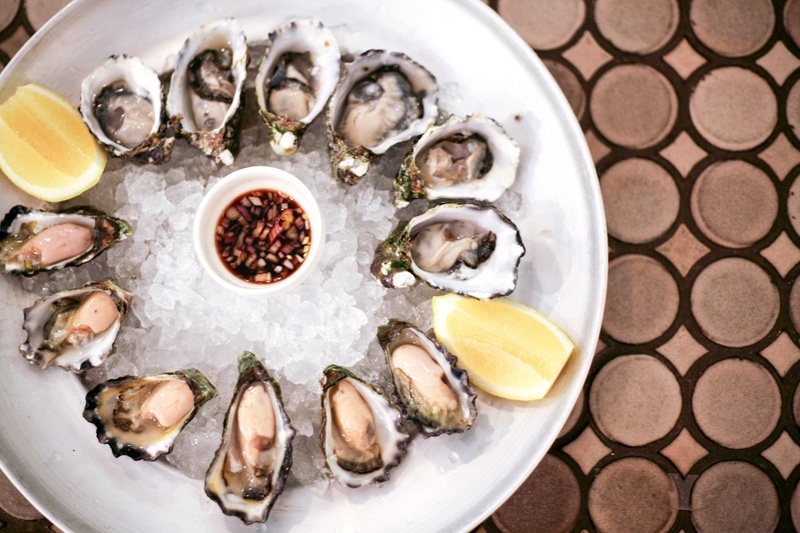 At iconic restaurant, Balcony Bar & Oyster Co., you can treat yourself to 6 oysters for just $1 each Wednesday from 5-6pm. These oysters aren’t small either, they’re large, freshly shucked beauties that may be one of 30 different Australian varieties! A great deal to keep in mind whilst you enjoy your share is the bar’s 4-6pm happy hour featuring discounted frozen cocktails (hello Frose). The restaurant’s beautiful food is the perfect follow-up to your oyster starter with $12 Espresso Martinis on offer if you make it till 9.30! 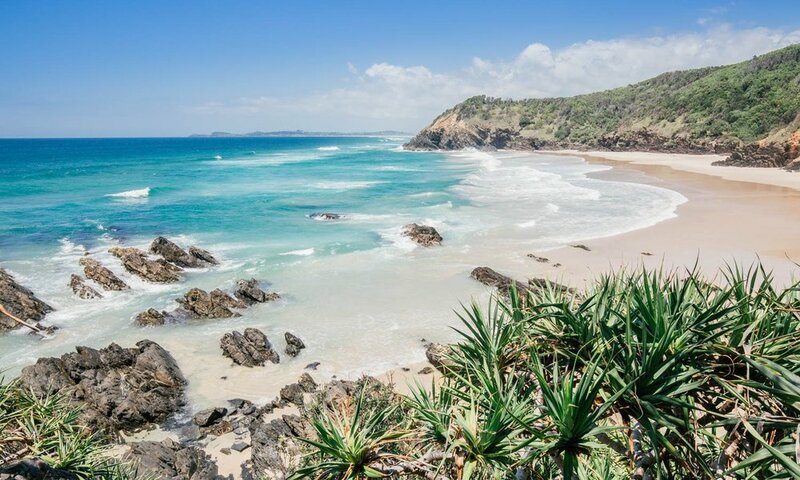 Now, you can walk down to the beach for a quick dip anytime over your stay but there’s nothing quite like a long coastal stroll to take in the beauty of Byron Bay. Whether you’re closer to Main Beach or Tallow Beach, either will provide an inviting long stretch of golden sand perfect for a blissful morning walk. As we often find on our own walks in Byron Bay, its hard to walk for too long without getting drawn in for a swim so we’d recommend wearing your cossie to make popping in for those mid-walk dips that little bit easier. Make sure to keep an eye out for any dolphins who might join you along the way! Over your stay in Byron, you’ll notice a lot of stores offer space to local producers however there’s something a uniquely charming about buying produce directly from the farmers themselves. 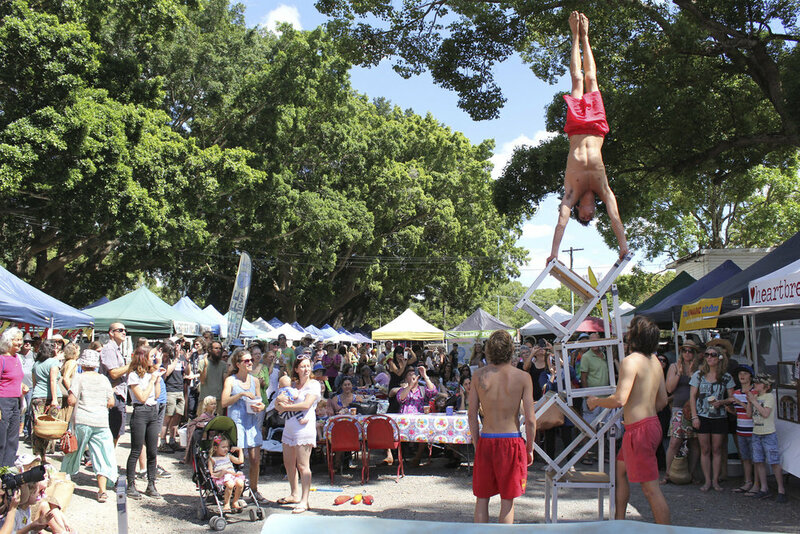 The weekly Byron Farmers Markets at Butler Street Reserve allows you to do just that, offering everything from locally smoked fish to freshly picked raspberries to home-made kombucha. Head down on Thursday morning between 8-11am to pick up some delicious supplies for your stay and to support the local organic community. We’d also suggest holding off on breakfast, the markets offer some tasty pastries and breakfast wraps that are a little too tempting! No girl is immune to the luring presence of pretty boutiques and Byron’s got more than enough to pull you in! The streets of Byron town are lined with small fashion, gift and wellness shops worthy of an afternoon’s browsing. For any bohemian inspired ladies, make sure to visit the Spell and Arnhem stores, well-renowned boutiques offering a range of pretty beach and leisure wear. Island Luxe is another store worth a look, selling designer furniture and interior decorations that’ll make you want to redesign your home. If you’re looking for a few little gifts to bring back with you, we’re sure an afternoon spent browsing Byron’s boutiques will deliver and will ensure you return with something special for yourself too! A beach holiday wouldn’t be complete without a sunset spent nibbling fish and chips on the dunes. Luckily, Byron’s figured this out and has perfectly placed Fish Heads, the best fish and chip shop in the bay conveniently on the beachfront at Main Beach. Share a plate of potato scallops, battered seafood and hand cut chips with your girlfriends as you watch the waves peacefully lap the shore. If you’re planning to do this on a weekend, you’re likely to also be witness to a local musician complementing the mood with a laidback set. 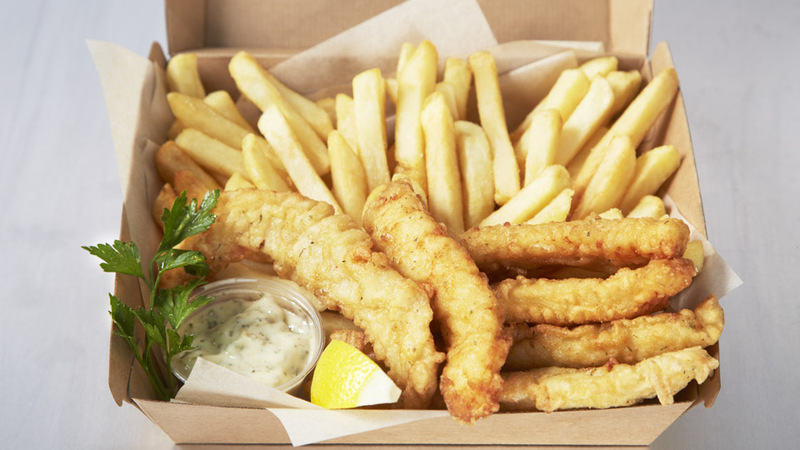 We always love a night like this to farewell our holiday but we’re sure any night spent watching the sunset with fish and chips wouldn’t disappoint! That’s it for our Byron Bay Bucket List! We hope you’ve got a few new additions to your travel wishlists and are up on the North Coast with your girlfriends soon. Of course please let us know via Instagram or Facebook if you’re able to tick off any of these activities with your girls!